NAB has announced McDonalds regional media and digital leader, Andrew Knott, as its new chief marketing officer. Knott fills the gap left by former CMO, Sandra de Castro, who left the banking institution in July after more than four years as its marketing chief. Knott has spent the last three years as the VP of media and digital for Asia-Pacific, Middle East and Africa at McDonalds, overseeing a greater focus on the customer through analytics and insights, as well as the shift to more digital marketing solutions. Prior to that, he was chief digital officer for advertising agency, Euro RSCG (Havas Worldwide), where he oversaw the digital agenda across social, mobile and content. Knott’s resume also include senior marketing and digital roles, such as VP of marketing at Salesforce.com, and VP of strategy and operations at Ogilvy across Australia and Asia. Upon taking up the CMO post later this year, Knott will be responsible for furthering NAB’s customer-centricity efforts, increasing customer advocacy and reflecting this through the NAB brand. 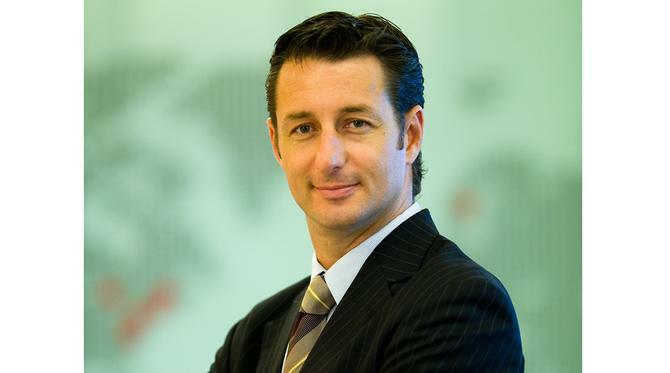 He reports to group executive of personal banking, Gavin Slater and will be based in Melbourne. “It’s exciting to have Andrew join NAB from an iconic global brand, but more importantly, he brings to us a 20-year track record of delivering for customers, and digital and thought leadership,” NAB CEO, Andrew Thorburn, said. Scott pointed to the changes in brand and consumer engagement thanks to the fragmentation of channels and digital, noting that brands are now defined by what customers experience, not just by what they say. He stressed NAB’s efforts to be more customer-centric. “There are few brands that impact people’s lives every single day. Even fewer that have a genuine commitment like NAB does to putting customers first to help them realise their full potential,” he claimed. During her rein as CMO, de Castro was put in charge of NAB's customer value proposition, sharing strategy and managing execution. At the time, she told CMO that the team was getting involved in end-to-end development processes for new products and services as well as change management, ensuring all aspects of the business were aligned to the same customer objectives.